It seems just anything and everything can be handled by Smart phone applications – From apps that entertain us (angry birds or fruit ninja probably), to apps that can save our lives (guide) and finally the apps that can prevent our pockets from draining off (Billing Saas). Financial management is a must for every person. It allows us to secure the future and survive the present. Keeping track of bills and handling them is an important adult responsibility, but thankfully, with the birth of Smart technology (thank you Android and iPhone) we can manage our bills in the best efficient way. Here is a list of apps that can help you get through your billing nightmare. If you are in search of a one stop shop that can help you track where your money is going and where your bills are at, mint.com would be a great choice. It is a web application that gives the users a snap shot of their net, keeps them in track of their financial goals and budgets and categorises purchases accurately. Budget is categorised according to needs such as clothing, pets, fast food, personal care, etc. The app then shows how much you have spent in these categories. Itâ? ?s a nice app that warns us ahead of time if the budget is going overboard. Simple and straightforward, this is how most users would describe this app. It reminds users when the bills should be paid and how much should be paid. What â? ?s good about this app is it reminds you to pay ahead of time, bills paid ahead of time, of course saves you from additional fees and penalties, which of course, could hurt your budget. All you have to do is to enter the bills and their dues, if you pay bills on a staggered way, the app can also remind you of the amount paid and the amount still due. 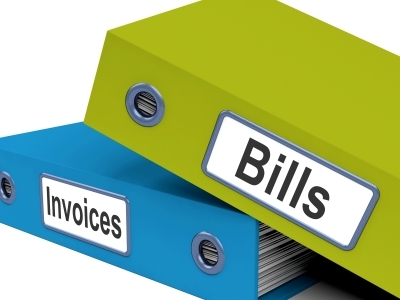 You can once again track bills using this app. Just simply set the monthly budget and the app records your expenses as you spend. It tracks your money down to the last penny. It is entirely useful for people who lose track on how much they have spent, especially if they spend on little things and fail to realise that those could cost so much. This app is a more advanced iPhone app on billing. Â It helps you set your budget and track your expenses. It also generates a chart dedicated for spending, the charts illustrate where the money is going. It gives you an idea on what area the money is mostly being spent on. An online app that also tracks your bills, but this app allows you to access all your accounts in just one place. The app requires you to enter bank details, loan accounts, credit card accounts and from this, the app will create a transaction history that gives you a proactive view of your finances. This would help you keep track of your spending habits and bills. It is important to note that these apps simply inform you on the particular areas where you spend your money, it also does simple tasks of reminding you if you have bills that are due or if you are going beyond your budget. Still, it is discipline, organisation, practicality and a strong sense of control that will ensure the success of your financial management, not the apps. This article is written by Jeremy Williams, a web based writer of articles on businesses, financial management and billing solutions. Jeremy particularly writes tips and advice on how to solve billing problems, and how technology, apps and billing solutions, such asÂ Billing SaasÂ can aide in money matters.